This design is a digitally-controlled, solar DC/DC converter with maximum power point tracking (MPPT), for use in central or string solar inverters. It is a companion to the TI Design TIDM-SOLAR-ONEPHINV, a grid-tied, single phase, DC/AC inverter. Together, the TIDM-SOLAR-DCDC and the TIDM-SOLAR-ONEPHINV comprise a complete solar inverter for central or string topologies. 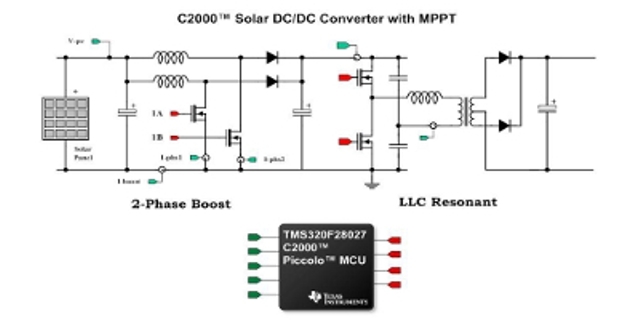 This solar DC/DC converter consists of a two-phase interleaved boost converter for MPPT and a resonant LLC converter with isolation. A C2000™ Piccolo™ TMS320F28035 microcontroller (MCU) is the digital controller for the complete DC/DC converter, executing high frequency control loops and maximum-power point tracking algorithms. This design achieves full-load efficiency of greater than 94 percent, which allows for more overall energy output from a solar installation and reduces detrimental heat generation in the converter. 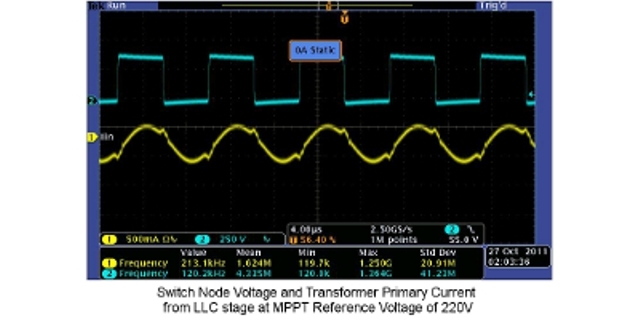 Implements a solar DC/DC converter with maximum power point tracking (MPPT). The DC/DC converter consists of a two-phase interleaved boost converter for maximum power point tracking and a resonant LLC converter with isolation. C2000™ Piccolo™ TMS320F28035 microcontroller (MCU) serves as a high-performance controller for the complete DC/DC converter, executing high-frequency control loops to control the power stages and compute maximum power point algorithms. Supports input panel voltages of 200V to 300V and an output of 400VDC, rated up to 500W. Greater than 94 percent peak efficiency allows for more overall energy output from a solar installation and reduces detrimental heat generation in the converter. 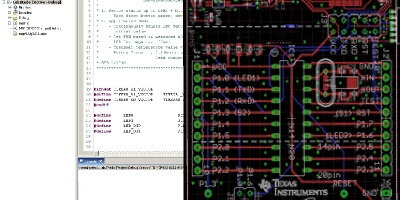 Solar and digital power software libraries provide code-optimized building blocks to implement a variety of power topologies and algorithms such as MPPT and Software Phase Locked Loops (PLL), perfect for designing customized solar inverter solutions. Fully-functional evaluation board includes software, hardware design files, quick-start graphical interface and step-by-step documentation. NOTE: Software for this board is located inside the controlSUITE™ software package. Download controlSUITE. Once installed, navigate to "High-voltage Solar Maximum Power Point Tracking Development Kit" under the Development Tools -> Solar section.